Fujifilm have succeeded in making a medium-format camera that's smaller, lighter, cheaper and easier to use with the release of the GFX 50R. It's not all perfect, but never has medium format photography been quite so accessible. The GFX 50R is 25mm thinner, 145g lighter, and costs £1K/$1K less than the 2-year-old 50S (even more at full price), significant savings all round. It would have been unthinkable just a few years ago for a 50 megapixel medium format camera to only cost £3999 / $4499, but that's exactly what Fujifilm have achieved with the 50R. At the same time, they've widened their potential audience even further by essentially turning the DSLR-like 50S into the rangefinder-style 50R. Subsequently they're very different cameras to use, so it's more a case of which one better suits your preferred shooting style, rather than which one is intrinsically better than the other, especially as they share so many key features and specifications. Having said that, the GFX 50R does cut a few corners to make itself both smaller and cheaper, including a lower magnification viewfinder that's fixed in place rather then being removable, a simpler up-and-down-only tilting LCD screen, the omission of a headphone socket, a much smaller handgrip (perhaps too small), no top-panel LCD screen or ISO dial (although there is now an exposure compensation dial), an awkwardly placed On/Off switch, no traditional 4-way controller on the rear, and rather small controls (especially the various function buttons). 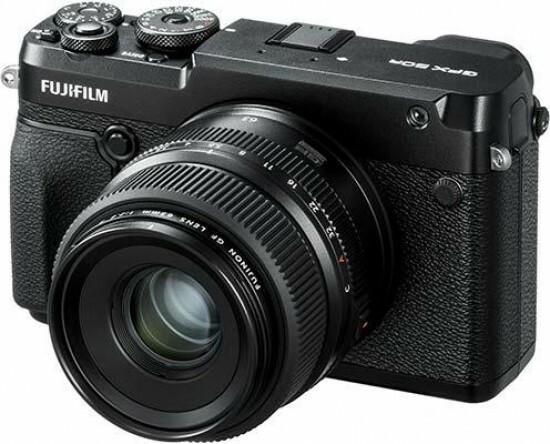 We'd also have really liked to see Fujifilm make some improvements to the 50R's key specs, which have essentially remained unchanged in the 2 years since the launch of the 50S. Still image quality is once again simply outstanding, though, with seemingly endless detail thanks to the 50 megapixel sensor, huge depth of field that makes it easy to isolate your subject, and excellent noise performance from ISO 100-3200. The four GF lenses that we tested the GFX 50R with - the 23mm f/4, 45mm f/2.8, 63mm f/2.8 and 110mm f/2 - make for a surprisingly compact and versatile kit, certainly one that you could carry all day without too much discomfort. How many medium-format cameras can you say that about? The GFX 50R blurs the boundaries between 35mm full-frame and medium format more than ever before, bringing the larger format into closer reach of high-end DSLR and mirrorless users both financially and in terms of the overall system size. If you've ever wanted to try medium format photography but been put off by the size and cost, then the new Fujifilm GFX 50R removes both of those reasons for not doing so.